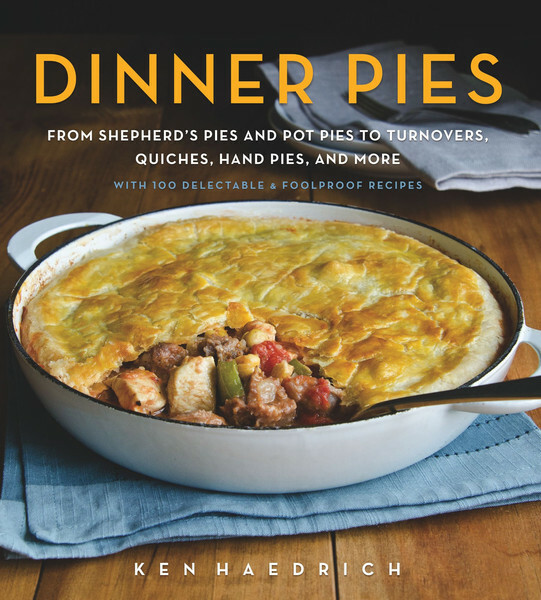 For those of you who missed it, I recently wrote an article for Fine Cooking magazine that began like so: This might ruffle some feathers, but I have a bone to pick with whoever coined the expression “as easy as pie.” As a pie instructor, the author of four pie cookbooks, and the dean of The Pie Academy, an online community of passionate pie makers, I can assure you that a majority of home cooks believe there’s almost nothing easy about making pie, especially the crust; confusion and disappointment can reign. 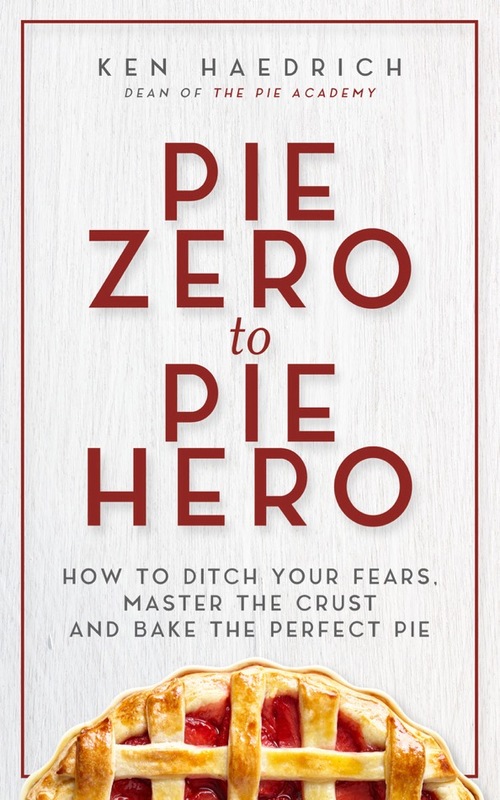 Perhaps you can relate, and perhaps not if you’ve been making pies for some time: when we get good at something, it’s easy to forget our early challenges. Fortunately, I’m reminded almost daily of the challenges pie makers face when I open my inbox. 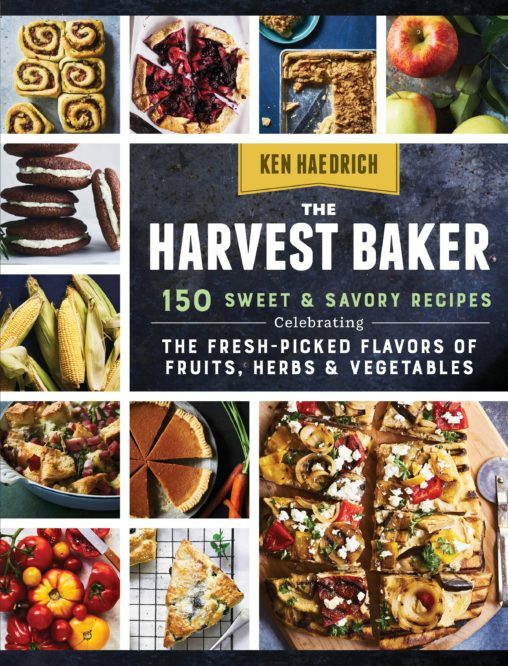 Which is to say I get lots of questions from home cooks about doughs that misbehave, pies that aren’t done – or are overdone – ones that crack, and many more. I’ve distilled some of the more common issues into this troubleshooting guide. I hope it helps. And if you’re just starting your pie journey, please don’t get discouraged when you hit a speedbump: just keep practicing. You’ll soon sharpen your skills and your reward will be a lifetime of delicious pies. My dough always seems dry and crumbly after I add the liquid – At the risk of stating the obvious, you’re probably not adding enough water. When you’re just starting out as a pie maker, it’s difficult to know whether you’ve added enough water or not. It’s one of those things you need to develop a feel for. They’ll be a little trial and error at first. Don’t be afraid to add a touch more water – a teaspoon or two at a time – next time you make pie dough. The standard test for knowing whether you’ve added enough water is to compress a few tablespoons of the dough mixture in your palm. If it holds together without crumbling apart easily, you’re good. 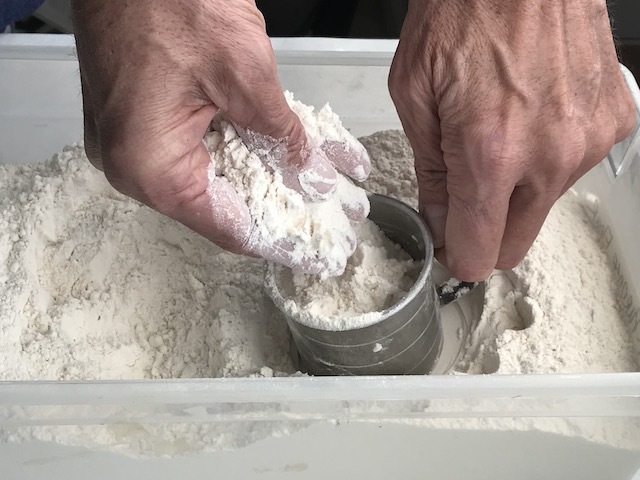 It’s worth considering, too, that your dough may be dry – even if you think you’ve added plenty of liquid – because you’re cramming too much flour into your measuring cup to begin with. Don’t push your dry measuring cup down into your flour; you’ll overfill your cup. Do this instead: store your flour in a rectangular bin that you can get your hands into. (That’s mine, below.) Hold your measuring cup over the bin. Fluff the flour with your other hand, then lift and deposit it into your cup. Level off the top with the back of a knife blade or your finger. If you use a scale, all-purpose flour measured this way should come in right at about 4.5 ounces. A large bin like this one makes it easy to measure flour correctly. My dough always seems too wet after I add the liquid – Unlike our last pie maker, you’re probably using a little more liquid than you should. If that’s the case (a) your dough may seem tacky when you go to roll it, and (b) your crust is likely to be more chewy than flaky, because extra water tends to activate gluten, the stretchy protein strands in your dough. So ease up a little on the liquid the next time you make a crust, cutting back by 2 to 4 teaspoons at first. Keep in mind that when your dough rests in the fridge, dry pockets in the dough will take on moisture from the surrounding areas, like a sponge, and help hydrate your dough evenly. It’s also possible that you’re adding too much liquid by accident: when you measure the water, use a 1-cup glass measuring cup, and bend down so you’re eye level with it so you get an accurate reading. If you’re trying to read the liquid level looking down at the cup, you’re liable to overfill it. 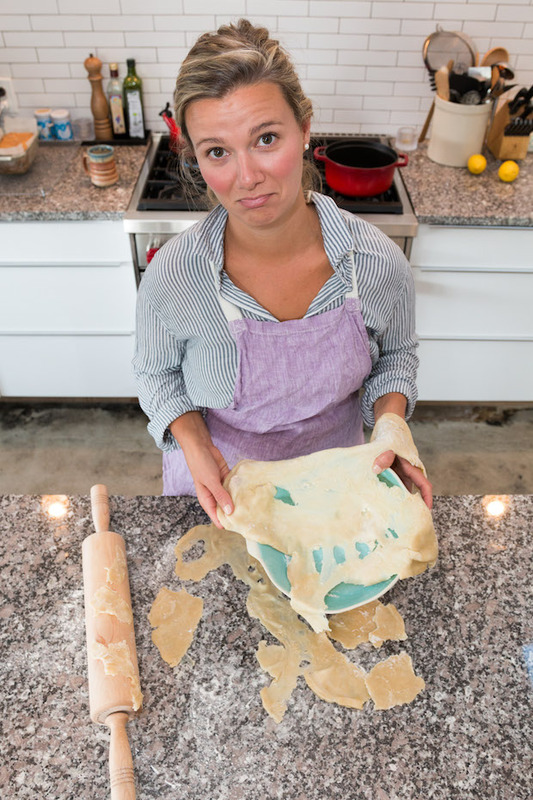 My dough cracks when I try to roll it – This is a common complaint, so take heart: you’re not alone. First of all, make sure you’re not trying to roll the dough while it is still cold-hard or the dough will be brittle. Next, take care not to dust the dough with extra flour while you’re shaping it into a ball, then a disk. Excess flour can easily cause a fault line where the dough will separate when you roll it. Of course, you may simply not have added enough liquid to the pastry and now it’s just plain crumbly. Finally, it’s quite common for the dough to crack a little around the edges as you roll it. Don’t worry too much about that. It it starts to get out of hand, pinch the cracks back together and carry on. My pie dough always sticks to my counter when I roll it – Let’s start with the obvious: your dough may be too wet, as in you added too much water to it. Use a little less next time. Obvious thing #2: you need to dust your counter with a little more flour when you roll. Not a blizzard of it, just a nice even and thorough dusting. The moment it starts to stick, slide the dough off to the side and dust again. 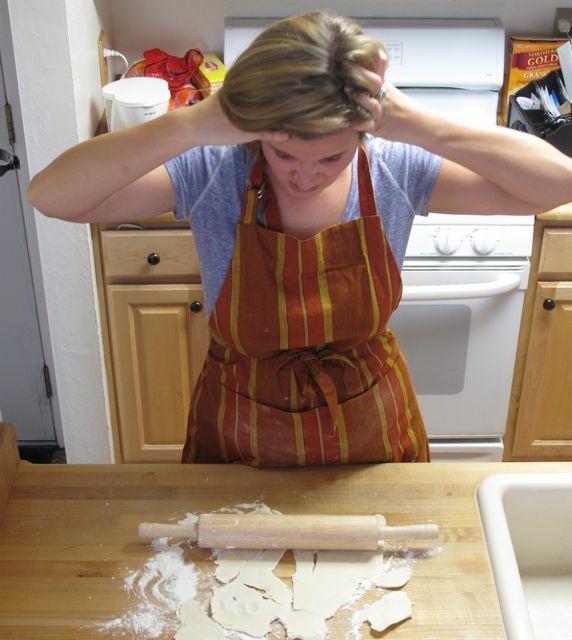 If the problem persists, try rolling your dough on waxed paper or plastic wrap. You also might be pressing too hard with your rolling pin. Remember that your goal is to flatten out the dough gradually as you roll it, and not with the first swipe of your pin. That’s asking for trouble. I can’t keep my dough round when I roll. It looks like an amoeba instead of a circle – True story: one time I was giving a pie making demonstration and a lady in the audience kept firing comments at me. She was visibly irritated because, as she explained, she’d never had success keeping her dough round, like the one I was rolling at my demo. I gave her every tip I could think of, and when I ran out of good ideas I told her that she should try to picture something round when she rolled – like the earth, I said. To which she shot back: My dough looks like part of the earth, alright. Florida! If you roll your dough on wax paper, like this, you can invert it over your pan and peel off the paper. If you’ve got chronic Florida dough, relax. 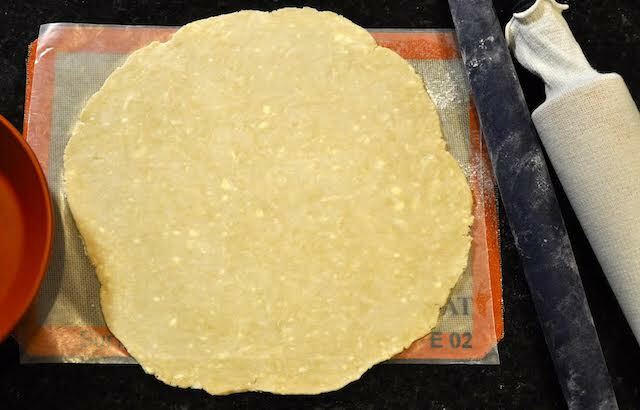 Start with a nice round disk of dough and make sure it’s not too cold-hard. Give the dough a number of short warmup rolls, rolling away from you, rotating the dough a quarter turn after each one. Keep up these short, gentle rolls and quarter turns. Only roll away from you in the 10:00, 12:00 and 2:00 positions, not off to the sides, and don’t roll toward yourself. That’s awkward, and awkward makes for funny looking doughs. Of all the pie making skills there are to master, this is one of the trickiest, so don’t throw in the towel after your first couple of pies. You’ll eventually get very good at it. If all else fails, picture the earth when you roll. 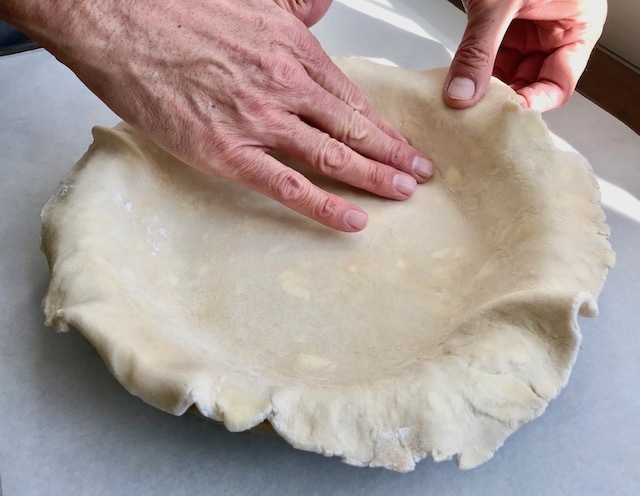 My dough falls apart when I transfer it to my pie pan – This is likely happening for the same reason that your dough cracks too much: not enough moisture in the dough. If another few teaspoons of water doesn’t do the trick, take stock of how you’re attempting to get the dough into your pan. It might need a little more support on the way there. If you roll directly onto a countertop, try sliding a thin, flour-dusted, rimless baking sheet all the way under the dough. Then slide the dough off the sheet and into the pan. Or try rolling directly onto wax paper. With most doughs, the paper will grip it. Then you can invert the rolled dough over the pan, center it, and peel off the paper. 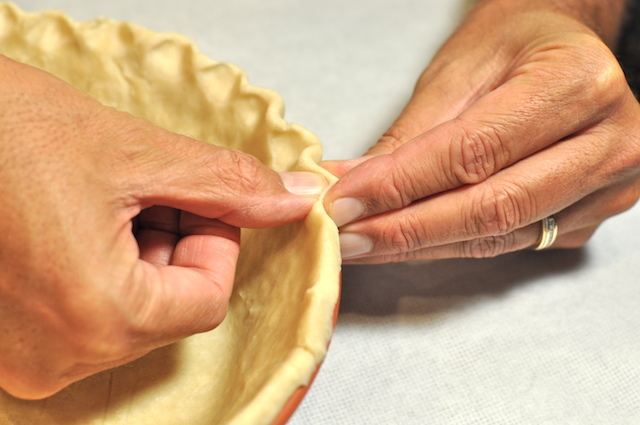 My dough shrinks when I prebake my pie shells – There are a couple of things that can help. If you’re using all butter in your dough, substitute just a little bit of lard or vegetable shortening for the butter, like I do in the aforementioned Fine Cooking article. Either one will help relax the dough and make it less prone to shrinkage. Also, make sure you don’t shortchange the time your dough spends in the oven when it prebakes. If the dough is underbaked, it has a tendency to shrink a bit when you remove the beans or other weights. If you lift up the dough with your other hand when you scoot it into your pie pan, it won’t stretch. This might also be happening because you’re stretching the dough when you nudge it into your pie pan. 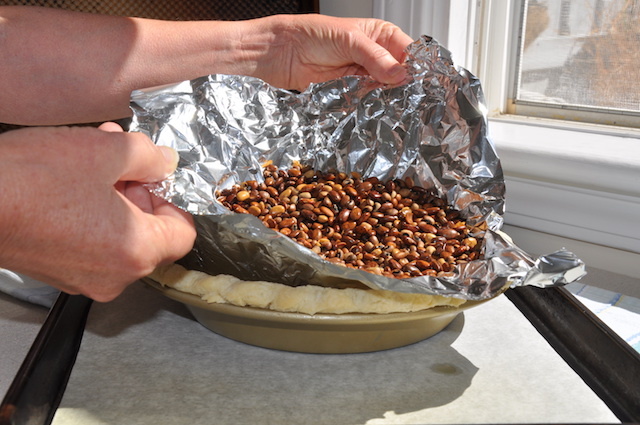 Take care to lift the edge of the dough with one hand as you scoot it into your pie pan with the other. This post about blind baking might help. The edge of my crust always gets too dark and over-baked – Again, a very common issue. (So common, in fact, that my foil ring video on YouTube is my most-watched video.) Edges over-brown because that’s the most exposed portion of your pie, right out there in the oven with virtually nothing to protect it. This is unfortunate when it happens, but it’s not the end of the world because we’re only talking about a small percentage of your pie’s overall real estate. Still, nobody wants their pie to look grilled, so start by eliminating any sugar you may be adding to the dough. Even a small amount of sugar can cause significant browning, and since the filling is usually sweet enough, you can skip the sugar in the crust. If the problem persists, make a foil ring, like the one in the video, to protect the edge. You can also buy a silicone ring or a metal one, but because they’re heavier and sit directly on the crust edge, they often don’t work as well as they should and cause browning as well. My fruit pies turn out runny. They seem under-baked – If they’re runny, and you remembered the thickener, they probably are under-baked. The juice in your pie has to come to a boil before the thickener kicks in and does its job. If you take your pie out before that happens, you’re in for a disappointment. 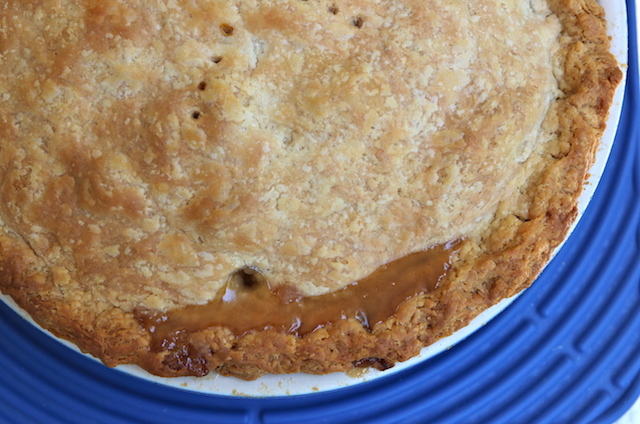 There are a number of indicators that your fruit pie is done, including total elapsed time, but none more important than seeing thick juices bubbling up around the edge, through a hole in your top crust, or up through your crumb topping. If you don’t see that juice, your pie is probably at least 10 to 15 minutes under-baked. We make vent holes near the edge of the crust so we can check the juices late in the baking. My fruit pies spill over onto the oven floor – Simple: you need to put a sheet of parchment paper on a baking sheet and bake your pie that way. If you don’t have parchment, use aluminum foil. That is, unless you like to spend your weekends scrubbing the oven. My pumpkin pies always develop cracks when they cool – Yep, pumpkin pie can be cranky that way. It’s a little like cheesecake, which has the same tendency. You can minimize this issue by remembering that almost any pie made with eggs is best baked low and slow – meaning 325° to 350° – for as long as it takes. Check the temperature with an oven thermometer to be sure. Pumpkin pie, again like cheesecake, will sometime crack if it is subject to a quick temperature change. You might want to turn off the oven, open the door about halfway, and cool the pie like that for 15 minutes before removing it from the oven to finish cooling. If all that fails, layer on the whipped cream nice and thick. 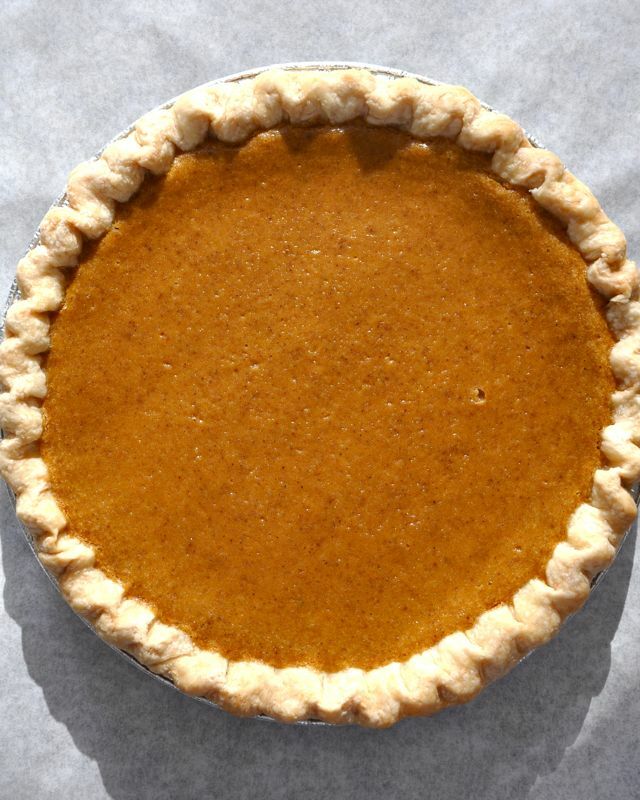 Coddling your pumpkin (or sweet potato) pie and cooling it slowly can help prevent cracks. Another reason pumpkin pies can crack, if you’re using your own baked pumpkin flesh, is the presence of pumpkin chunks in your filling. So make sure your pumpkin is good and smooth – use a food processor – before you mix your filling. 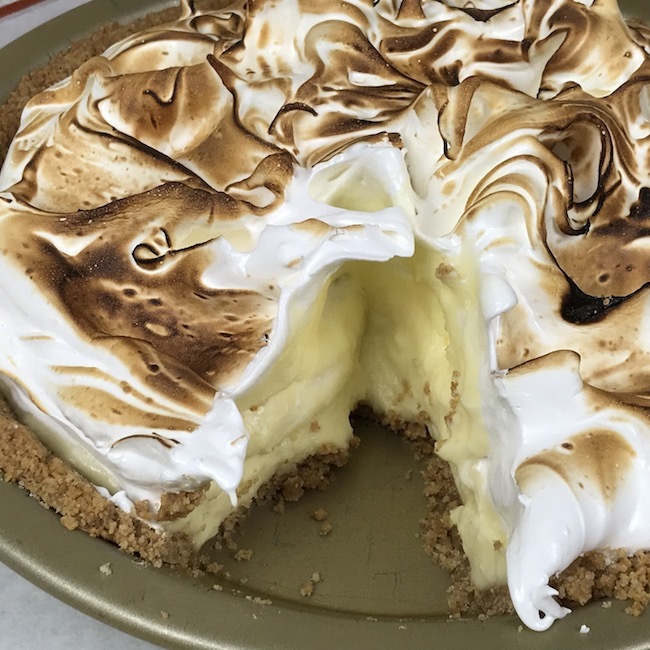 My custard pies are watery and grainy, not silky and smooth – See above. That graininess you’re looking at is essentially scrambled eggs because you baked the pie too hot or too long or both. Again, low and slow is the order of the day. 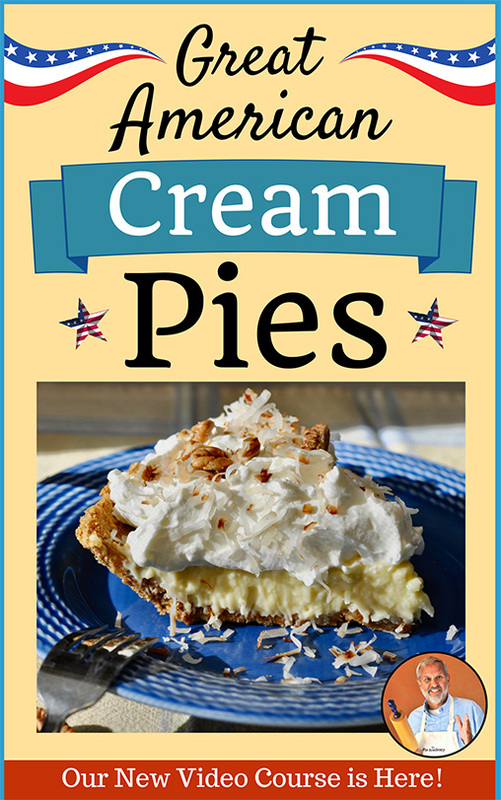 You can learn to make perfect cream pies like this one with Ken’s new course, Great American Cream Pies. you use to thicken your pastry cream. Nothing will seem amiss right away, but when you go to assemble your pie or slice it, the pastry cream might seem loose and watery. (It’s nature’s way of scolding you the way your mom did when you snuck a bite of something when you were cooking.) Solution? Do what I do: don’t taste while you’re cooking the pastry cream. Instead, set aside a little tasting portion after you’ve whisked in your butter and flavorings. I like to flute the edge of my pie crust the way I’ve seen you do it, and they look good when I first make them. But they always lose their shape in the oven, when I bake my pie. What gives? – Could be a number of things. Your dough could be too moist, which activated the gluten and made your dough “bouncy.” But whatever caused it to happen, there are a couple of things you can try that will help. First, if you’re making a butter crust, use a little bit of Crisco or lard, as I mentioned in my earlier comments in regards to shrinking pie shells. That will help relax your dough so the flutes hold. Next, don’t make the flutes right after you form the shell. Instead, put the shell in the freezer for 5 to 8 minutes first, until it’s gotten a little firm, then make the flutes. When the dough resists a little, the flutes will hold their shape better. Finally, exaggerate the flutes by pressing firmly when you make them. You want to stretch the dough out of shape; if you look closely, you can actually see where the outer layers of the dough tear a bit. When you exaggerate the flutes like this, they’ll hold their shape better. 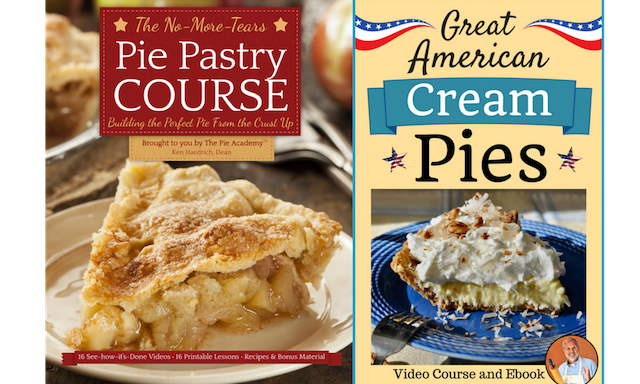 If you have other troubleshooting questions you’d like me to answer, please feel free to contact me at The Pie Academy – ken@thepieacademy.com And if you’d like to jumpstart your journey as a pie maker, check out our two popular online pie courses.